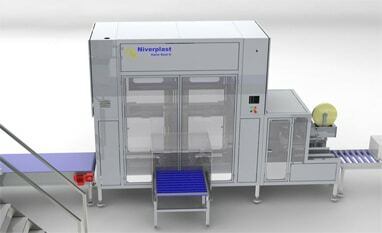 Niverplast feeding this complete packaging line with counting & quality with your products straight from the freezer, plano’s and prefabricated bags, it provides you with the exact amount or weight products in a closed bag in box, ready to be transported. 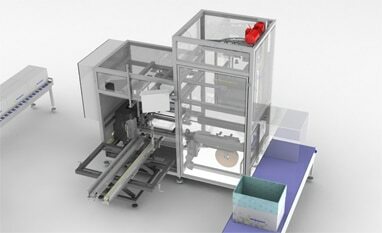 The Combiplast provides the lines with Bag-In-Boxes. The boxes are accumulated before the filling points to ensure logistic efficiency. Al Thika Packaging is the exclusive distributor of Niverplast in the Middle East. Since 1994 Al Thika has been supplying best case erector, bag placing, counting & sealing machine for bread, meat, fish, liquids & non-food products in Dubai, Abu Dhabi, Sharjah, Fujairah, Ras Al Khaimah, Ajman, Umm Al Quwain, Al Ain – UAE, Saudi Arabia, Muscat, Oman and the many other Gulf countries. 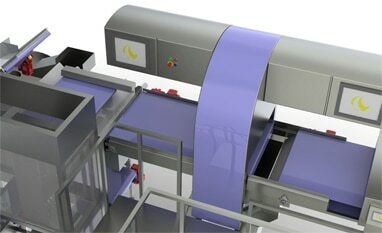 The Combiplast provides the line with bag in boxes. The boxes are accumulated before the filling points to ensure logistics. Products are checked for metal. Detected products are discharged by a retracting belt and stored in a (lockable) bin. 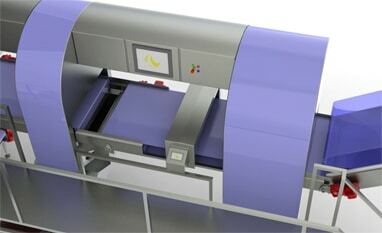 Rejected products are discharged by a retracting belt. Optionally single products can be taken out of the product flow. These are stored in a (lockable) bin. 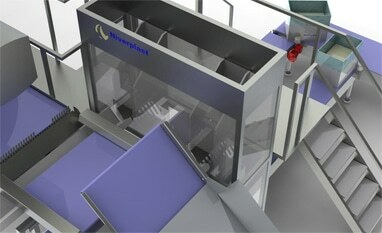 Niverplast software virtually divides products in batches with sizes you wish. Offers great flexibility in product sizes and shapes thanks to camera technology. 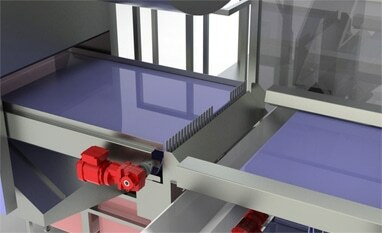 The virtual distinguished batches are physically divided by retractable fingers. Counted products are neatly placed in your bag in box. All with minimal height! 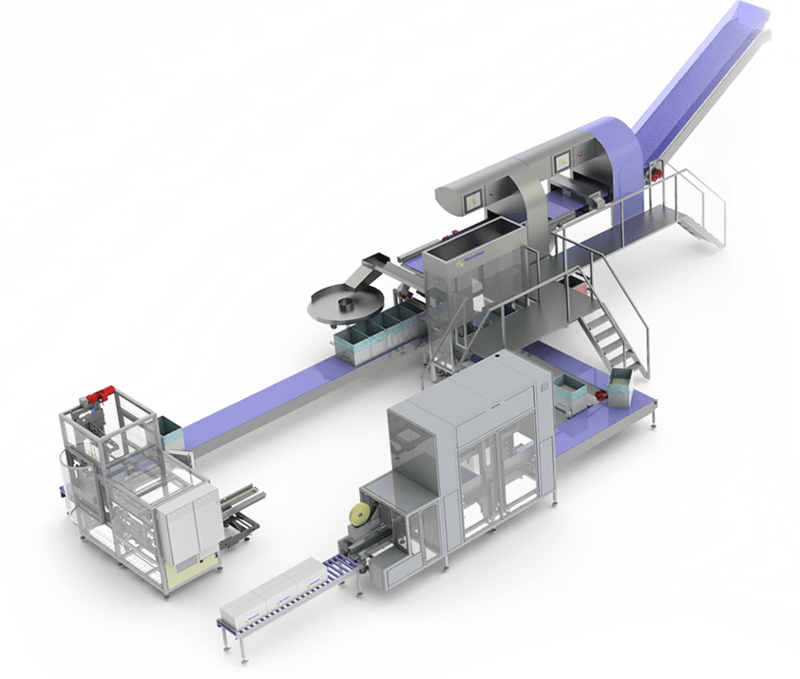 In this case half or whole baguettes, are loaded in two filling positions to meet required production speed. The VarioSeal checkweighs the filled boxes. Rejected boxes are ejected. The bag is sealed (optionally printed) and finally the box is closed by the integrated taper (option). Your product is ready to be transported! In case of emergencies, Niverplast lines are always equipped with a bypass. This gives the possibility to continue the production process. Non-stop production is guaranteed! 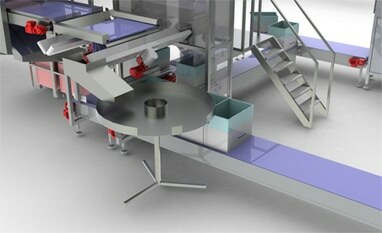 In this case bread is placed on a rotating table where the products can be packed by hand.